effort between the Sheffield Land Trust and the Community Land Trust in the Southern Berkshires, along with the farm family, and other partners. Bow Wow Farm is located along Bow Wow and Lime Kiln Roads in Sheffield, and links the western and eastern ends of an important wildlife corridor. The farm comprises fields, forest, wetlands, uplands, rare species habitat and prime agricultural soils. The significance of this landscape is highlighted in numerous land trust, town and state documents. Community ownership of the small plot of land where the house sits ensures the house will remain affordable to the farmer who works the land. The farmland and working forest are protected through the purchase of an Agricultural Preservation Restriction (APR) to be held by the Massachusetts Department of Agricultural Resources. The rare species habitat is protected through the Massachusetts Department of Fisheries and Wildlife’s Natural Heritage and Endangered Species Program. As part of the Bow Wow Farm project, the house associated with the farm is coming into farmer-ownership at greatly reduced prices. This is thanks to the former owners’ understanding of the importance of affordable housing and their long-time relationship with the tenant farmer. 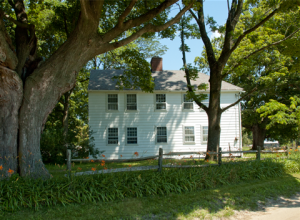 The Berkshire Community Land Trust is undertaking to raise $95,000 to purchase the 1.4-acre home site to ensure a house remains associated with the conserved farmland in perpetuity.